An exploratory, qualitative study carried out by colleagues from the University of Khartoum (Sudan) and Abertay University (UK) examined the reasons behind the success of a generics company that has been the market leader in Sudan for a decade from the perspective of employees and customers . 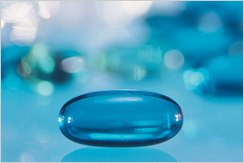 In February 2014, three different focus groups were conducted, including company employees, purchasers and prescribers. Each focus group was recorded, transcribed and coded into themes. Thematic analysis was carried out. Participants were coded using the letter P followed by a number. The study revealed that the quality of drugs is the main concern for healthcare professionals. This result is consistent with previous research that found ‘when customers use a particular brand frequently, they use their past experience about that brand regarding performance, quality and aesthetic appeal’. The company was also found to have excellent customer service. Previous research has also found that organizations that focus on their customers consistently outperform their rivals. The three focus groups highlighted that the professionalism of the medical representatives was one of the key reasons behind its success. Intense promotion, rather than price leadership, was identified as a key success factor of the differentiation strategy adopted by the company. It has been argued that firms’ financial success depends on their marketing abilities. Employees identified that leadership played a role in the company success. Research over the past two decades has shown that changes in leadership are followed by changes in firms’ performance. Employees described a friendly and competitive organization climate as one of the key factors behind success. A direct correlation has been found between organization climate and financial results. Most of the participants thought that the company success is sustainable in the future. The portfolio and expansion of geographic coverage were considered as the main drivers for success. The study concluded that differentiation is an important strategy for the success of generics companies. The author of the research paper  did not provide any conflict of interest statement. Abstracted by Anas Mustafa Ahmed Salim, Lecturer, Faculty of Pharmacy, University of Khartoum, Sudan. Readers interested in contributing a research or perspective paper to GaBI Journal – an independent, peer reviewed academic journal platform – please send us your submission here. 1. Ahmed Salim AM, Mulholland G. Examining the reasons behind the success of the generic pharmaceutical companies: the case of Sudan market. Middle East J Business. 2015;10(4):59-64.